Each morning I greet my students at the door before they enter our classroom. The purpose of this activity is to build in them a sense that they are valued and are welcome here. I want them to feel safe, loved and empowered when they come to school each day. When these feelings are in place, it is then that the student can feel brave enough to share their unique ideas. After the kids enter the classroom, I take attendance and then I play a song. This is the signal for them to come to the carpet for the morning meeting. The kids clean up their morning activity and stand in a circle, quietly around the carpet. We pick a different type of greeting each morning. 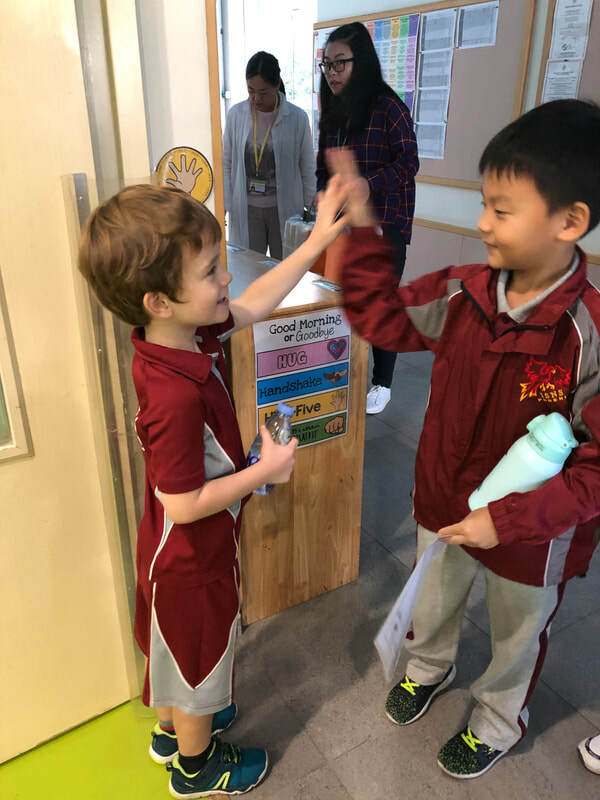 The greetings are fun and quick ways for the students to say hello to each other and start the day on the right note. 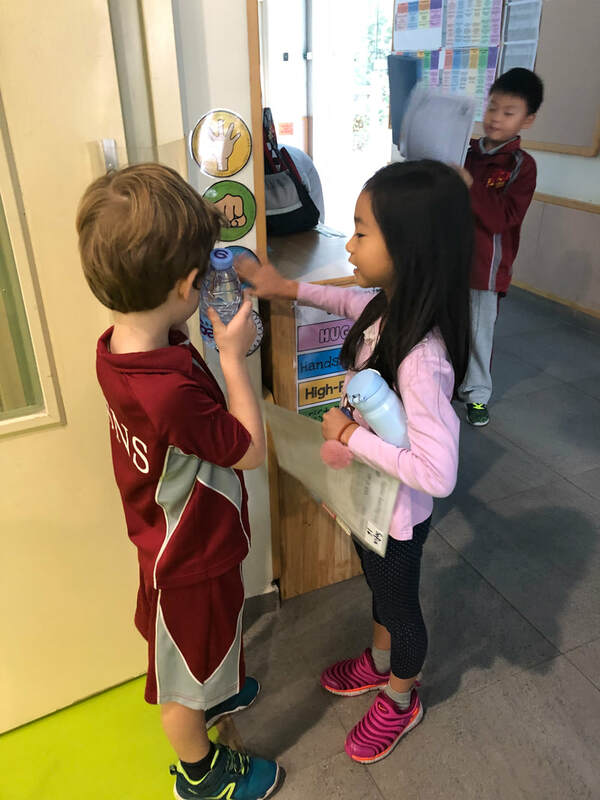 The kids love this activity and I think it is so important for them to learn how to greet one another in a kind way. They must make eye-contact and speak to each other. This is a basic building block for team building and collaboration. I feel it's important that the kids have a vested interest in the classroom. Each week the kids choose a job. The kids are so excited to help in the classroom, and they take ownership. Classroom management is very important in a classroom. The students need to be able to learn and feel safe in the place they are learning. The classroom management technique I use is a combination of many different approaches. 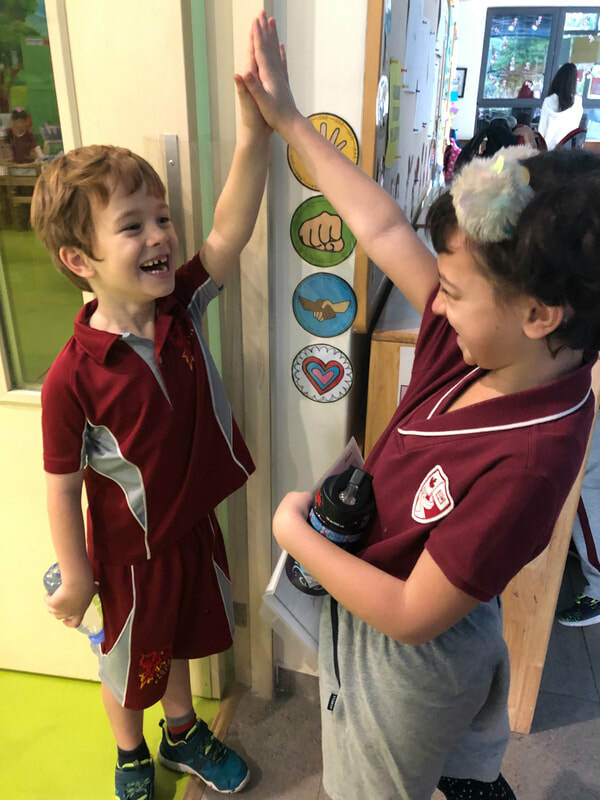 First, rewarding the positive and desirable actions with verbal recognition or Dojo points. Often this is enough to inspire the other kids to follow suit and realize that they need to behave appropriately. 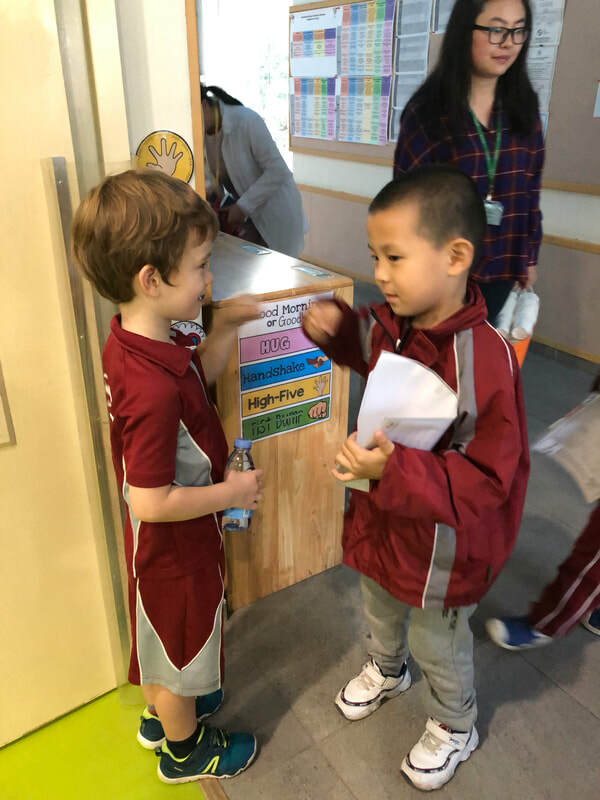 Second, I feel that a sense of teamwork can inspire students to follow routines and procedures. So I implement table groups and award these groups accordingly for being tidy, being on task, speaking English and other desirable behaviors.